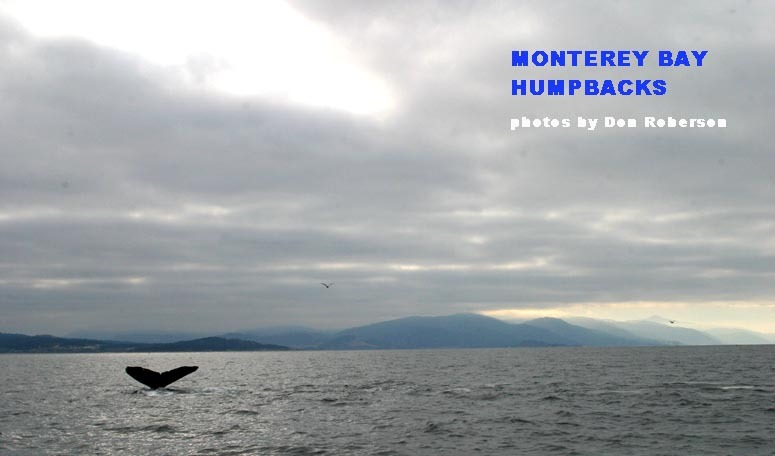 An exceptional treat on the 30 Sep 2006 Monterey Bay Seabirds trip was a cooperative Humpback Whale putting on a series of full-body breaches. During each breech, there are impressive views of the long grooved pleats on the throat, the barnacles that invariably attach themselves to each whale, and the giant pectoral fins . . .
and each ends with a resounding splash that can be seen (and heard) for mile. In all, a rousing performance . . .